The earliest history of football in Alton goes back as far as 1947 when Alton Town FC was formed. They spent their early years in the Hampshire League with varying degrees of success, the high point being their first league title in 1958. In 1973, they joined the Athenian League winning its Division 2 at the first attempt. The following season would see them record a best-ever 6th place finish in the Athenian Division 1. 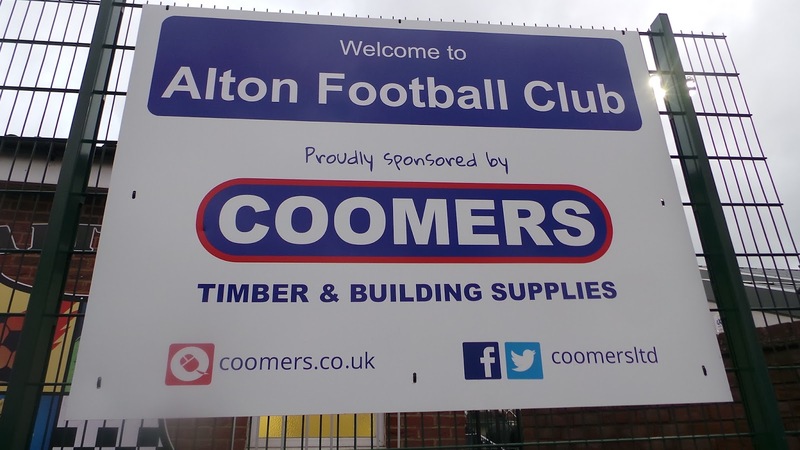 They left to join the Combined Counties League in 1981, finishing as runners-up in its Western Division behind Ash United. The form was not to last however and in 1984 they would return to the Hampshire League following a second-bottom finish. The 84/85 & 85/86 seasons would see an all-time low as they twice finished bottom of the lowly Division 3. 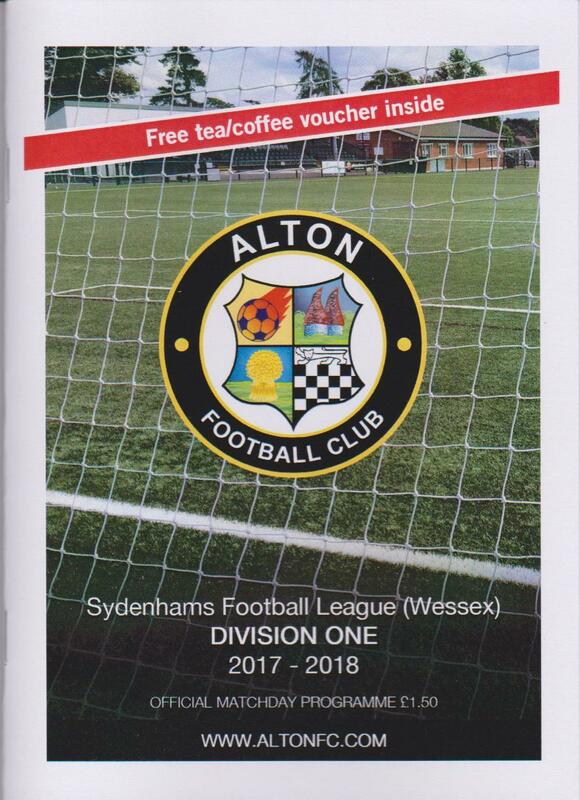 The disbanding of Division 3 saw a change in fortunes and Alton Town would win Division 2 at the first attempt in 1987. 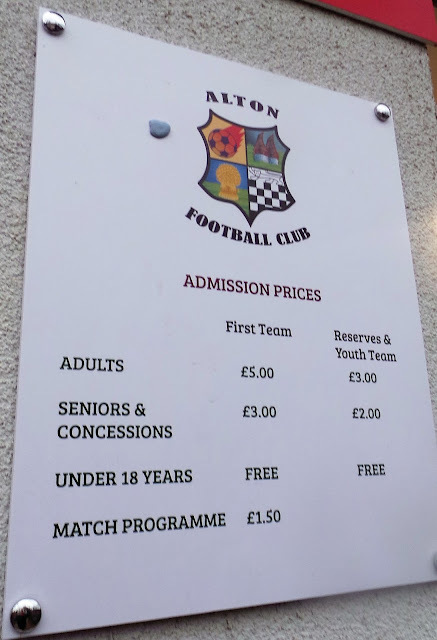 A long spell in Division 1 would follow, during which time they would change their name to Bass Alton Town for a period, following a merger with another local club. They were Division 1 champions in 1999, earning promotion to the Hampshire League Premier Division. Another league win followed in 2002 and this saw them able to take the step up to the Wessex League. 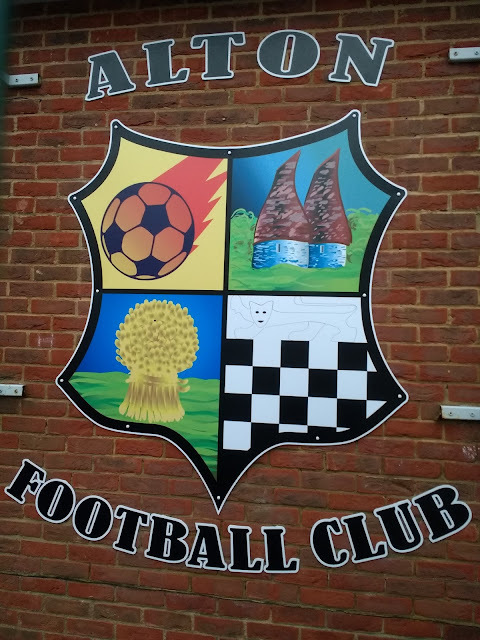 After a couple of seasons, the league expanded and Alton Town were placed in the higher-tier step 5 league which was later to be named the Premier Division. Generally, the club struggled with a 10th place finish in 2012 In the FA Cupbeing a highlight. 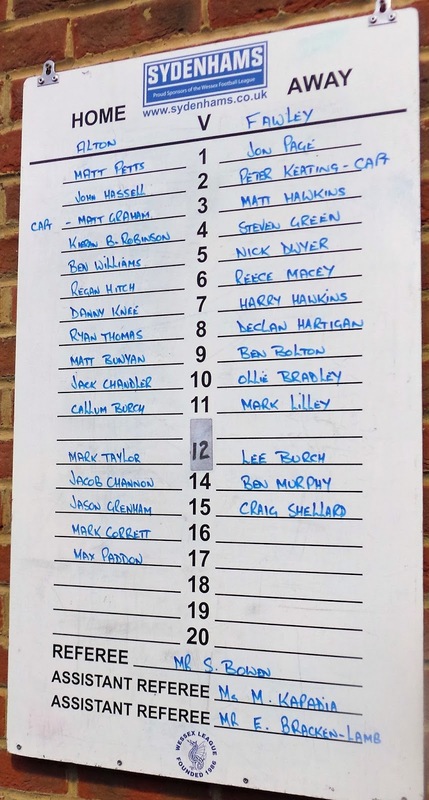 In 2013 the club would be moved to the Combined Counties League and this would see them drop down to step 6 after a second-bottom finish. 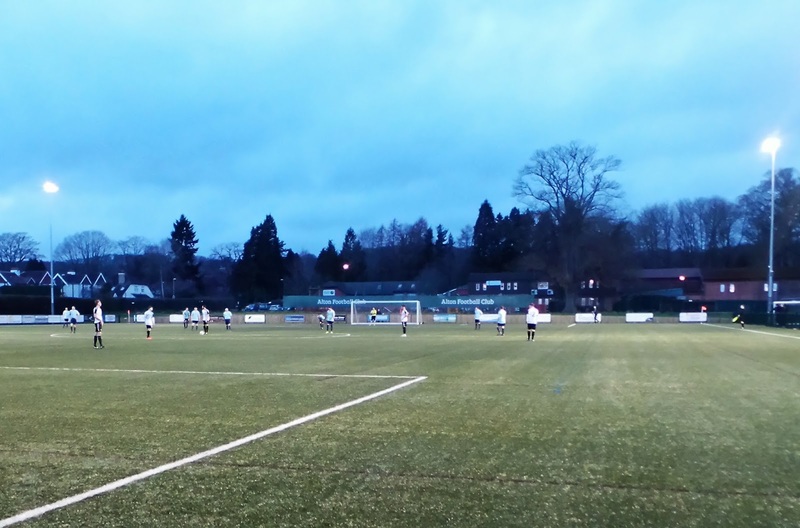 Its been mid-table finishes ever since, with the club rejoining the Wessex League in 2015. The same year, they moved to their current home, then in 2016 they had a change of identity, being renamed simply Alton FC. Currently, the team sit in a respectable 8th place, but still some way off the promotion places. In the FA Cup, the club's best ever run by far came in 1972 when they enjoyed an impressive run to the 1st Round. After beating Farnborough Town, Gosport Borough (a resounding 8-1 victory), Basingstoke Town and Devizes Town before a 5-1 defeat at football league side Newport County. 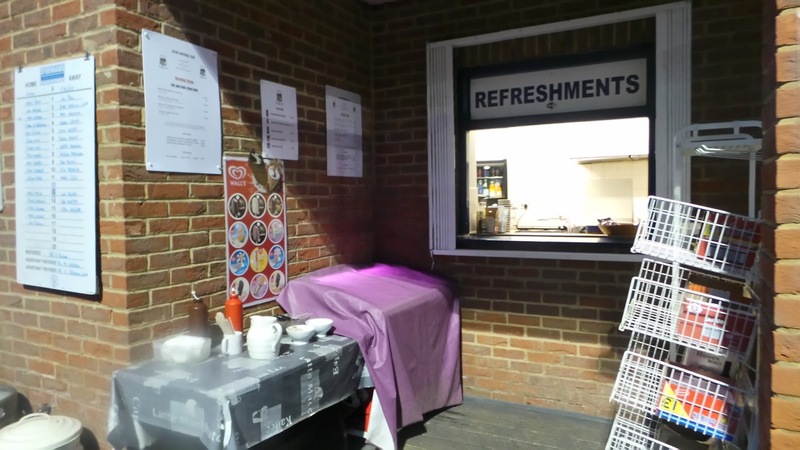 In 1963 Alton Town reached the FA Amateur Cup Quarter Final, losing 1-0 at Sutton United, whilst in their limited experience in FA Trophy, they reached the 2nd Qualifying Round. 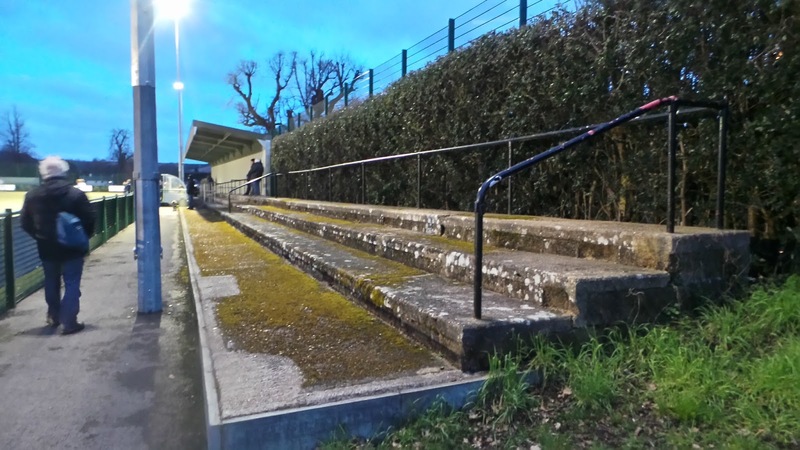 The best run in the FA Vase came in the 1978/79 season when Alton defeated Swaythling, Arundel & Hungerford Town before losing to Worthing in the 3rd Round. Local cup honours include the Hampshire Senior Cup on four occasions. 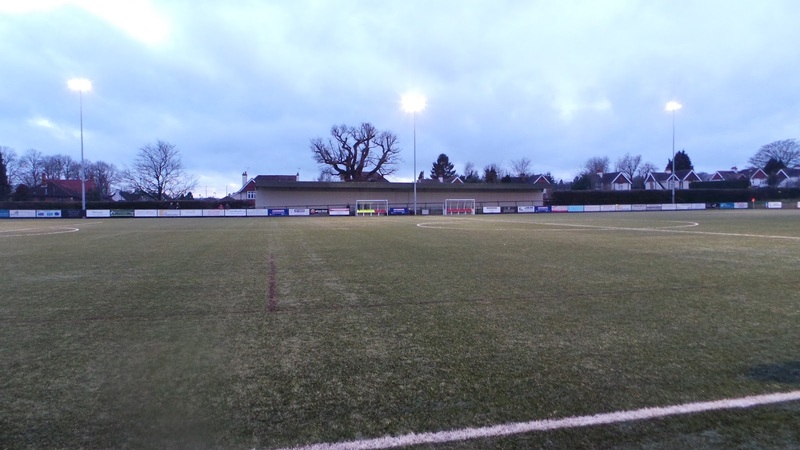 Well-known people to be associated with the club include Geoff Chapple, who played for and managed the club before going on to work wonders with Woking. With the Tuesday being one directly after a bank holiday, the choice for today was severely limited. 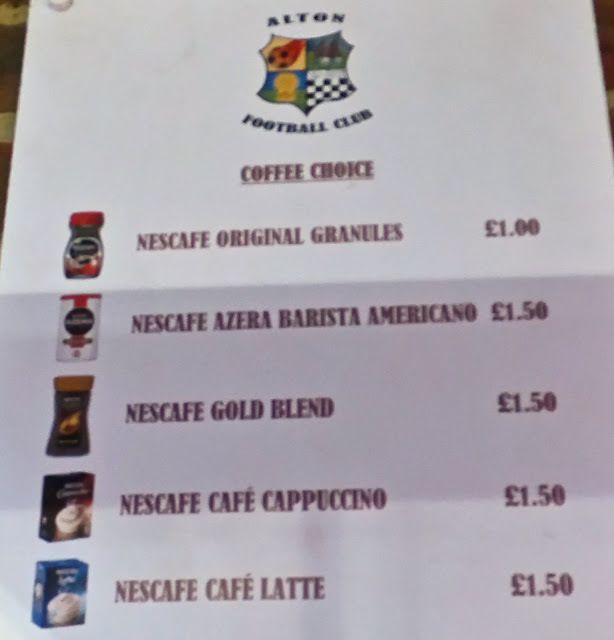 The only two options that were feasible with fellow hopper Anwar were Chatteris Town and Willenhall Town. He fancied neither, so yet again, I'd be groundhopping on my own. 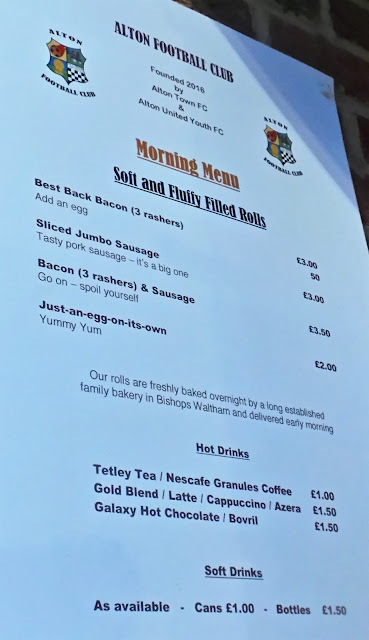 Heading south, my options were not much better - a revisit to Hemel Hempstead or various games in the Southern Combination and Wessex Leagues. 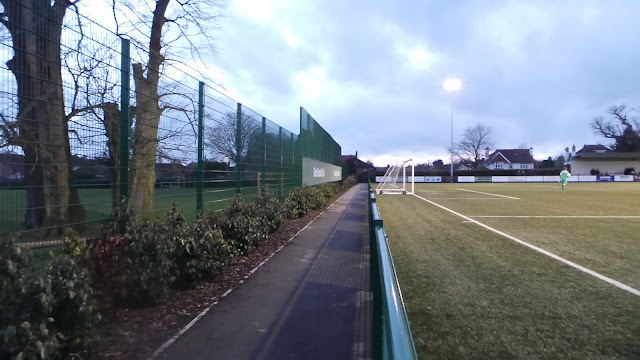 With the weather continuing to be poor, I decided to play it safe and go to Alton where they had a 3G pitch. It was the nearest in terms of distance and I'd been caught out last month when I'd tried to 'save' it for worse weather. 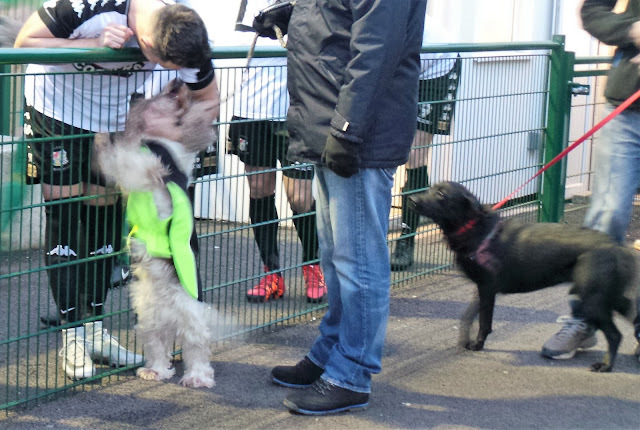 My game at Lingfield had suffered a late call off thanks to a cautious referee. I ended up salvaging the night with a revisit to Redhill but would have preferred a new ground. Wycombe had a good 2-1 victory on Bank Holiday Monday against Grimsby and I'd had a reasonable night's sleep when I woke on my day off. Rain put pay to any plans of getting exercise by walking down town, but I still went down with my Dad and got lunch and a drink. Perhaps it was a blessing in disguise that I was on my own as one of my proposed games at Chatteris was postponed due to a waterlogged pitch. 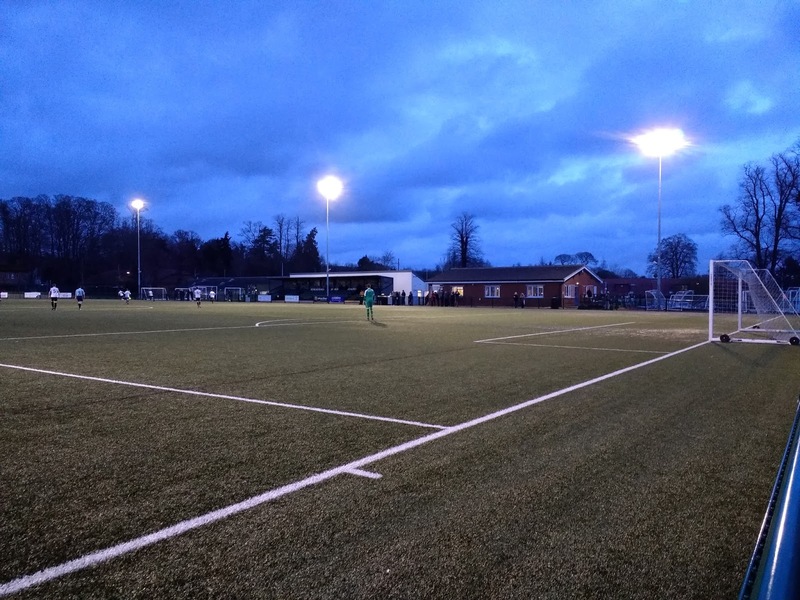 Of my southern options, both Ringmer & Storrington had both been moved to grounds with 3G pitches, whilst Broadbridge Heath & Hemel Hempstead appeared to be still going ahead. After a nice dinner of chilli con carne, I left at 6, hoping that the traffic would be reasonable. Thankfully, with the schools off, it was and it was also nice to complete the entire journey in daylight. I arrived at the ground and parked up by 7.15. 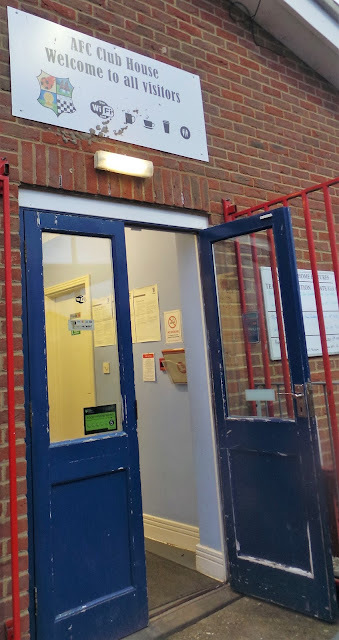 After getting some pictures of the outside, I paid £5 to get in, plus £1.50 for the programme. 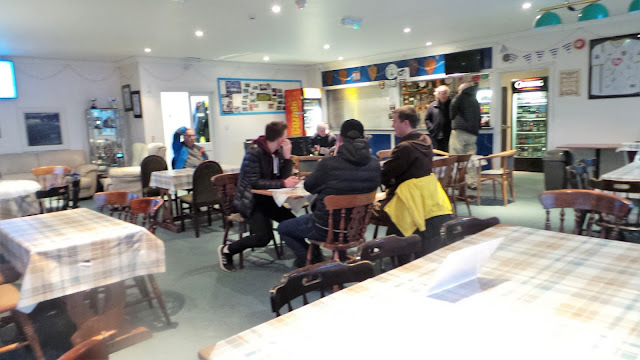 I sat in the bar for 10 minutes catching up before going outside 5 minutes before kick off. 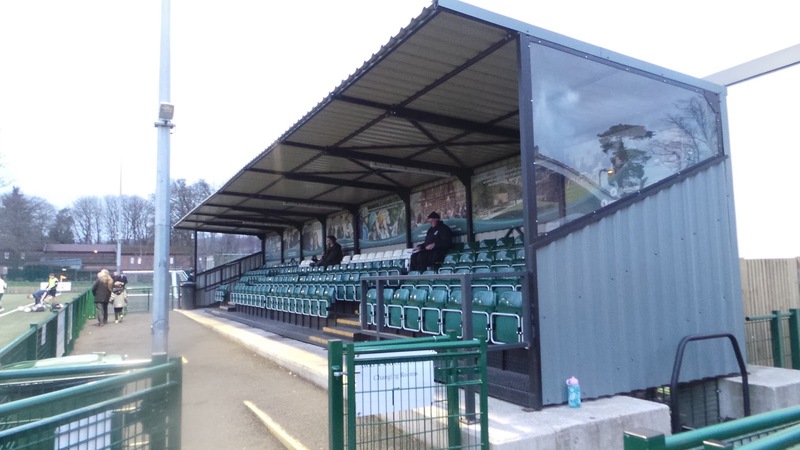 I was quite impressed with the setup, the standard metal stand was present but there was a more solid structure on the far side for standing supporters. Alton started brightly and they were a goal to the good within ten seconds of the game starting. A mix up in defence saw a headed own goal open the scoring. 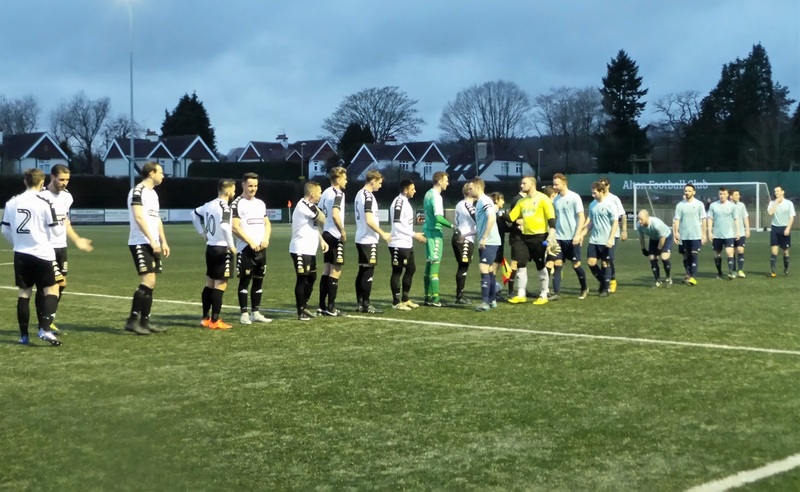 Visitors Fawley had bought a pale blue kit that was very similar to the hosts white and so plans were put in place for Alton to change into their red strip at halftime, once they'd cleared it with the referee. It was a very open game and both keepers made good saves to prevent further goals. Fawley were turning out to be the better side and they hit the bar ten minutes before the break. 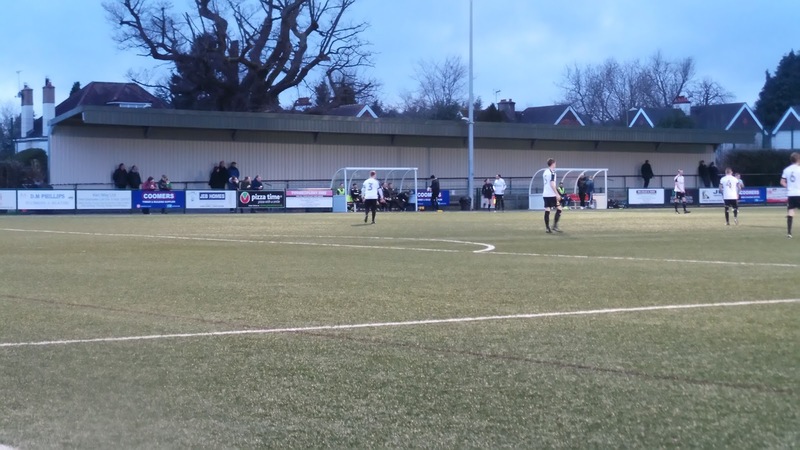 However, Alton broke and doubled their lead with a low shot into the bottom right-hand corner by Jack Chandler from just inside the area. 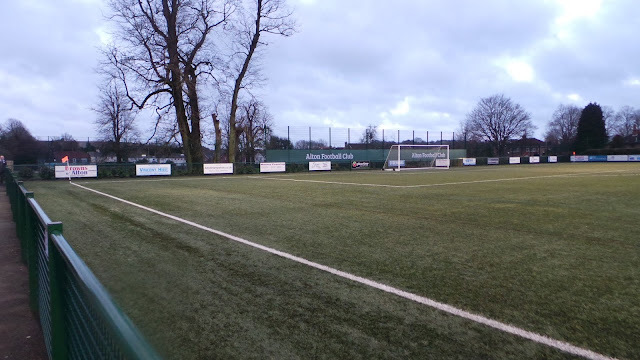 Unperturbed, the visitors attacked again and hit the post before halftime. 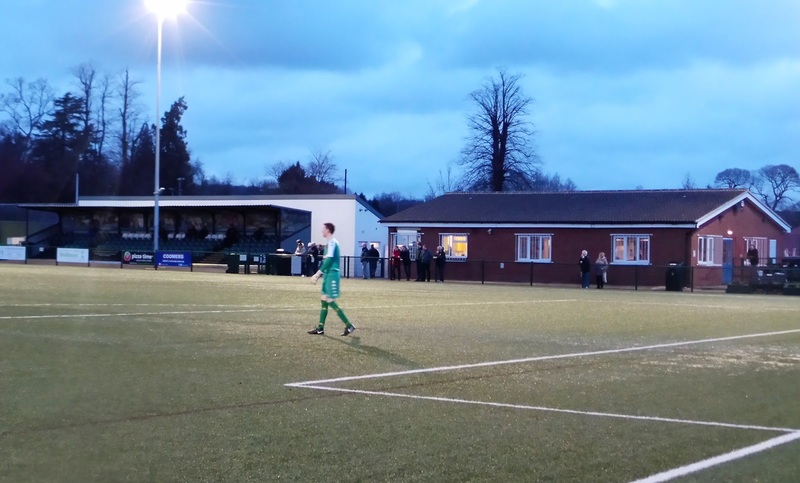 However, once again they were undone on the break, this time through Callum Burch with a tidy close-range finish. That was how it stayed until the break and Fawley could consider themselves unlucky to be so far behind in what was a close game in terms of play. The second half started with the freshly changed Alton on the front foot and they increased their lead around 5 minutes in with a low shot from inside the area by Matt Bunyan. On 55 minutes it was 5-0, this time a free kick from the right-hand side was headed back across and Bunyan pounced from within the six-yard box. It was six on 65 minutes, this time Burch grabbed his second when he poked home a loose ball. The 7th came soon after, a header initially hit the bar but Fawley keeper Jon Page could only palm the ball back into play from where Chandler followed up with his second. Fawley had missed a hatful of chances and deserved a goal at least. It turned out to be the best of the night, Steven Green’s brilliant free-kick going in off the woodwork. It had been an enjoyable evening though for the majority of the 81 crowd and I’d certainly enjoyed myself. On reflection, Fawley were pretty unlucky, especially in the first half but Alton improved vastly in the second. I left at 9.45 and had a good journey home, getting back an hour later where I caught up online before going to bed. 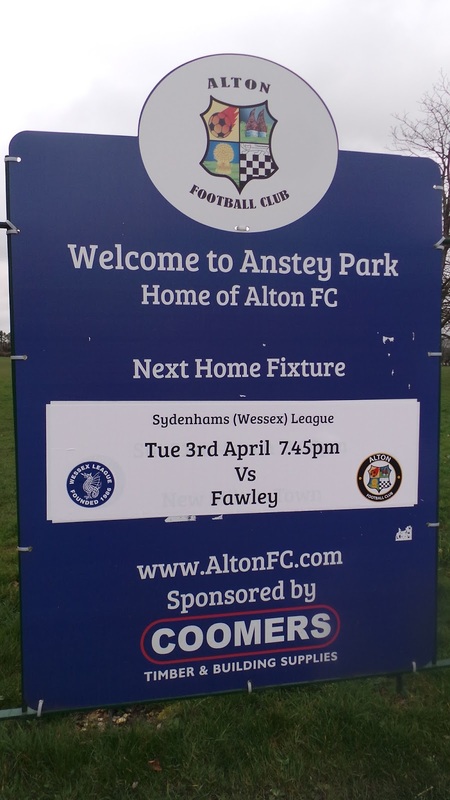 ANSTEY PARK is a modern ground, with it being newly built within the past few years. There's the standard metal stand, holding around 150. On the opposite side, there's a good sized covered terrace for around 300, plus steps of terracing along that whole side. The rest of the ground is open flat standing and overall, it was a lot better than I'd expected. The town is about half a mile walk away. In there are a Wetherspoons, The Ivy House as well as a decent looking place called The Railway Arms. I've visited neither, but I'd imagine the town has a reasonable amount of takeaways too. 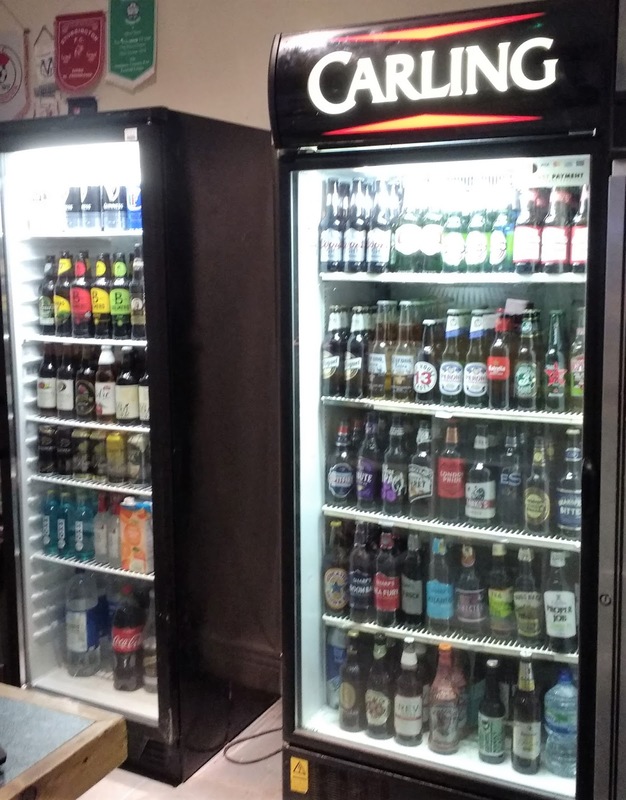 Back at the ground, the cosy clubhouse has a small range on draught, but an impressive range of bottles and cans, though I'm unsure of prices. 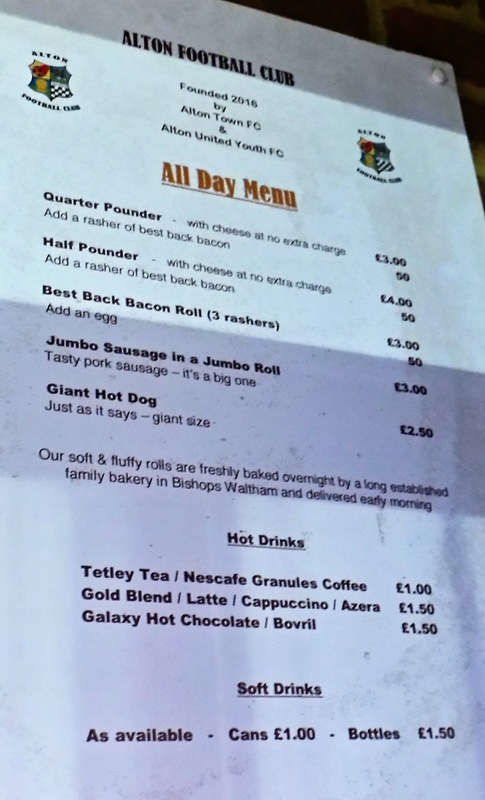 I didn't try the tea bar, but they appeared to be reasonably priced, concentrating on burgers, hot dogs and rolls as well as drinks and snacks.